This morning, Motorola announced that new Ebony, Teak, and Walnut wood backs would be available come January 21 for an additional $25 on MotoMaker-made Moto X devices. 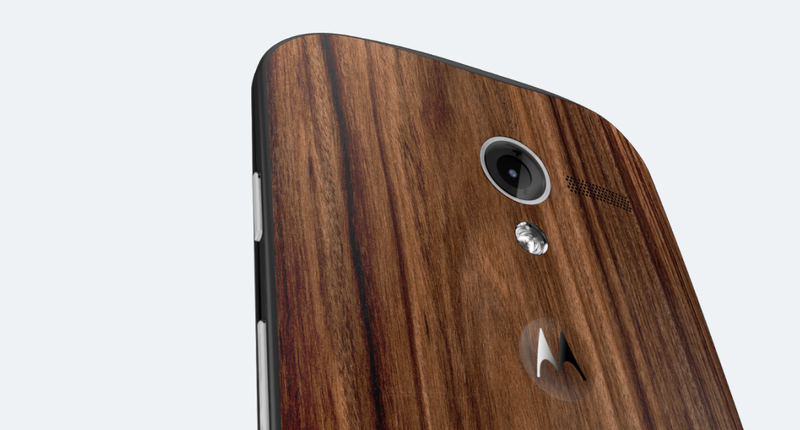 These three new wood “finishes” join Bamboo to round out the “Natural” category on Motorola’s custom phone site. Speaking of “finishes,” we noticed a number of you asking for clarification on what exactly Motorola meant by that term, especially since Bamboo is only listed as just being “Bamboo.” Well, we heard back. Motorola returned word to us that the backs are indeed wood, but that they are then treated to give off the look of Ebony, Teak, or Walnut. In other words, you are looking at a wood back “but Walnut, Ebony and Teak are treated with their indicated finish to adjust the color and design.” With Bamboo, it seems as if you are just getting Bamboo with no extra treatment or finish. No word on what kind of wood they are using initially before treatment on the other options. The good news is that if you go with Ebony, Teak, or Walnut, you still should have a unique phone unlike any other since it is indeed still made with wood. But if you were looking for a pure Ebony, Teak, or Walnut phone, you aren’t going to find that for now. I don’t necessarily want to speculate on this move, but I’d imagine it’s much easier on the manufacturing side of things if you have a sustainable or easy-to-handle wood that can then be treated to look like others, rather than trying to source all of these materials individually.